Genealogy continues to grow in popularity, and websites and software then help in creating family trees. 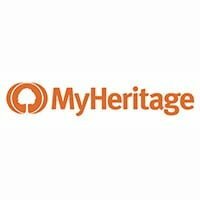 There are a number of free genealogy websites, as well as paid sites. In addition, people can get a DNA ancestry test. With so much to choose from, it is clear that no one can use all of the resources available. It helps to understand the types of services and software, and what they can do for you. Some duplicate efforts of other applications, while others stand out as one-of-a-kind sources. Let’s start with an understanding of what genealogy is. Genealogy is the study of family histories. Individuals can trace their lineages back to their ancestors. 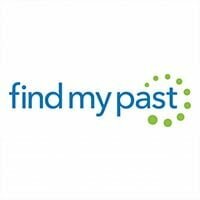 Genealogists-whether amateur or professional-use historical records to find family connections. These can include birth and death certificates, ships registries, court records, property deeds and transfers, newspaper articles, biographies, and other official and unofficial documents to trace relatives. These sources rarely explain the family connections, so the searcher must make inferences about who is related and who is not. A simple surname match does not guarantee that someone is an ancestor. Also, a surname may be related to other surnames, either through marriage or because names change over the decades. DNA genealogy, also called genetic genealogy, uses DNA to help establish connections between ancestors. A DNA ancestry test can make it clear if two individuals are related. Note that DNA is required from at least two people. That means a researcher must have access to an ancestor’s DNA to determine that ancestor’s place in a family tree if any. However, a searcher can test a common ancestor and find a connection to another ancestor without having to test every single member in the lineage. Inferences can make the connections where it is not possible to test everyone. In many cases, a DNA match can be found in a DNA database. What Can You Learn From Your Genealogy? A person’s ancestry can place both the individual and the family in their places in history. Major events that occurred during an ancestor’s life can take on more meaning, especially if that ancestor was involved in an event, such as a war. Also, ancestry can establish ethnicity for either the entire family tree or for individuals and groups that make up the family tree. In many cases, a researcher can find out what regions ancestors lived in, and even what religion they practiced. A well-researched family tree can also provide future generations with a sense of their own history and lineage. Software for tracing family trees can make the process easier than doing everything by hand. A good genealogy application will connect to the web, create connections for you, make a chart, organize everything and give citations about where information was found. One of the most difficult tasks in an ancestry search is keeping accurate records and maintaining the proper relationships between various ancestors. Genealogy software can maintain both the records and the relationships so the user doesn’t lose track. It can also import and export GEDCOM files. GEDCOM stands for Genealogical Data Communication and was developed by The Church of Jesus Christ of Latter-day Saints. It allows various genealogy sites, software, and sources to communicate with each other. All genealogy software must have GEDCOM capabilities. The two primary choices in conducting an ancestry search are software and online services that do the searching for you. Software can conduct a customized search for you, but you must be familiar with the types of sources to examine. Once you familiarize yourself with the kinds of searches to do, good software can search out the details you need. Often, software comes with the ability to use a variety of charts, and can even print out a wall chart. Some software can keep track of multiple marriages for one individual, and search for DNA data that is stored online. Online sites don’t show you all the behind the scenes that stand-alone software does. Sites search using their own parameters and methods and may make some false connections. Typically, the user begins by entering data for a living relative or one that is not too distant, and the site begins to make connections. These progress and branch out until a tree is made. The user must evaluate the connections to see how likely they are. Both software and online services work. The best criteria for choosing between them is determining how much hands-on control you want over the searches. 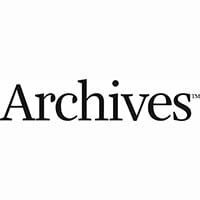 Free genealogy sites such as national geographic, genealogy.com, and a U.S. government site can get someone started researching their family tree with no costs, but other sites charge for their services. The paid sites tend to do the searching for you and help you build a chart or tree of your lineage. These can range from $9.99 per month to $200 per month. Add-ons and extra services, such as DNA testing, can run the price up even higher. Software can cost from aroung$6.00 to well over $300.00. The difference here is you only pay one time for the software so that you can do many searches with on application. As interest in genealogy grows, so do the tools for searching. From software to sites, ancestry searches are growing more and more sophisticated. However, the searcher should be warned: once you start, you will probably never stop looking for ancestors.